Hello friends! We are still here. Did you miss us? I have really missed sharing recipes with you all. Life has just been crazy…work and family and more work and family. Things are slowing down a little for the rest of the week and I am looking forward to it. I have some big plans to accomplish some things that need to get done. What I’m really hoping is that this springtime weather hangs around so I can get out and enjoy some sun! A couple of weekends ago we had our in-town family over to celebrate our younger girls’ April birthdays. I let the girls plan the menu. They wanted hot dogs, hamburgers, pizza, cheese potatoes, chips, and fruit (they must have thought they needed something healthy!). They wanted it all topped off with chocolate sheet cake and ice cream. Well, I didn’t think we needed pizza with hot dogs and hamburgers, so I told them I would throw together a pizza dip. I always have these ingredients on hand and this is what I put together. I thought I’d share it with you. 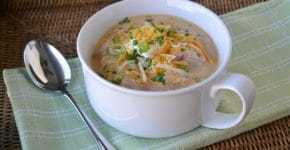 Combine the cream cheese, sour cream and grated Parmesan cheese in a bowl and mix well. Spread into the bottom of a deep dish pie plate. Meanwhile, in a medium skillet brown the Italian sausage with the onion and garlic. When the sausage is cooked through add the pizza sauce and the basil and oregano. Cook for about 5-6 minutes to heat and allow the flavors to blend. Spread over the top of the cream cheese mixture. 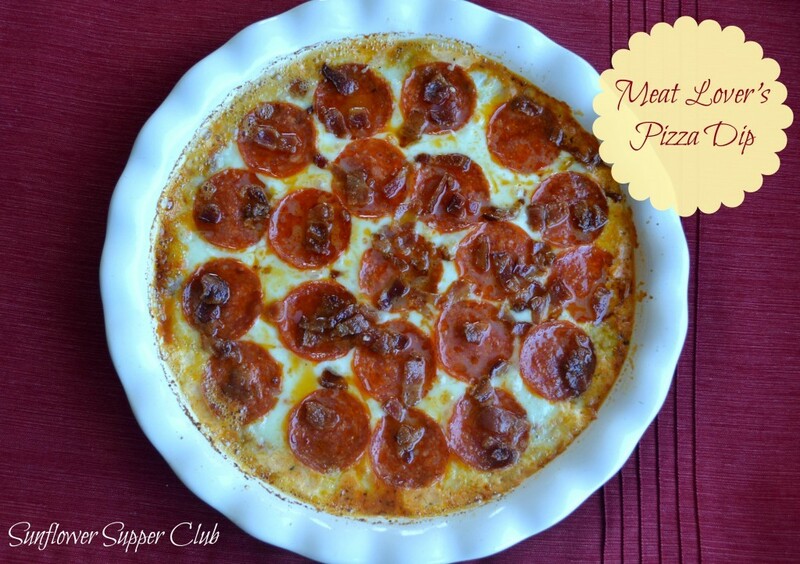 Top with the slices of fresh mozzarella and then the pepperoni. Sprinkle the cooked bacon over the top. Bake at 350 degrees for 20-25 minutes. Serve with bread sticks and crackers. Cook's Note: Be sure to use fresh mozzarella, trust me on this one, it makes it! Kim, you make the best dips! I’m sure this didn’t last long at all at your get together. Thanks Kari! We do love a great dip around here! My husband would totally go nuts for this. He’s always asking for extra meat on his pizza! Haha! I was just going to say the same thing as Kari…You DO make the best dips! This sounds and looks mighty tasty. Hey Girl – this fabulous recipe received the most clicks at Weekend Potluck this last week. Please don’t forget to stop by and snag your Featured Button. Congrats! Oh my, this looks so yummy. Pinning to make very soon, sure to be a winner!